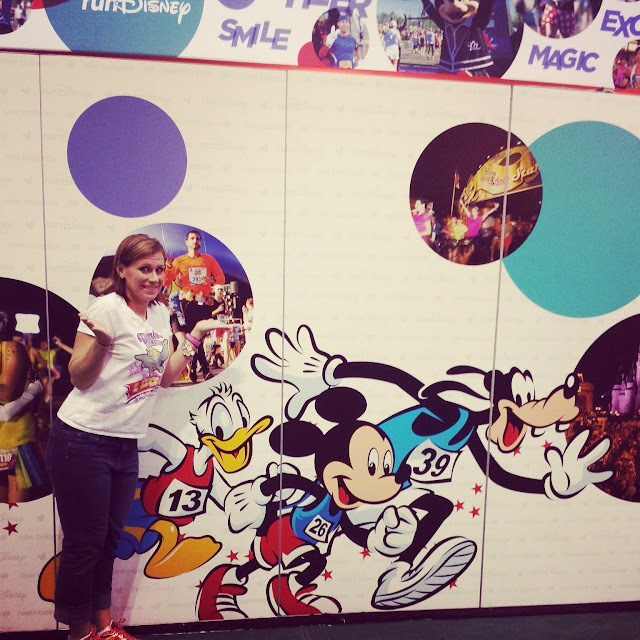 Okay, here it FINALLY is--my recap of the 2014 Wine & Dine Half Marathon. I know, I know, you've heard it all already, but here's my take, just for good measure! 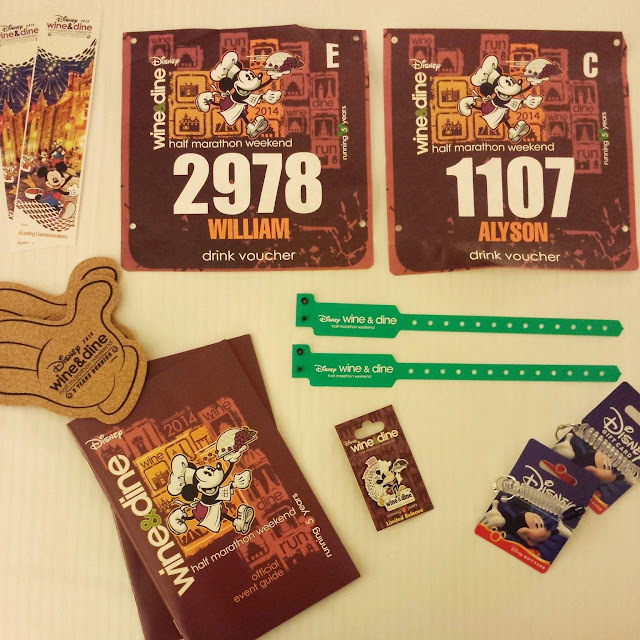 This was our first time staying off property for a race weekend--we stayed at the Hilton in Downtown Disney, which left us to fend for ourselves when it came to race event transportation. We decided taking a cab would be the best option. Once we got up and got ourselves to the expo, we were met with tons of people! I was a little surprised because last year it was pretty empty. I think we just hit it at a bad time. Packet pickup was long. I got my packet and noticed my shirt size was off. I went back and they tried to convince me just to exchange my size at the shirt pickup, but I insisted they look at my waiver to see if I somehow entered the wrong size (though I highly doubt I would put down an XS). Finally, one of the volunteers made some statement that made me look closer--they had given me the wrong bib!!! EEK!!! People--check your bib!!! It never occurred to me that they gave me the wrong number; I was just worried about the size of the shirt!!! After getting the correct bib, we headed to the official merchandise booth by packet pickup. It was wiped out. I hoped for better luck at the main expo area, and we left empty handed. Don't worry, once we hit the expo, I managed to do SERIOUS damage! 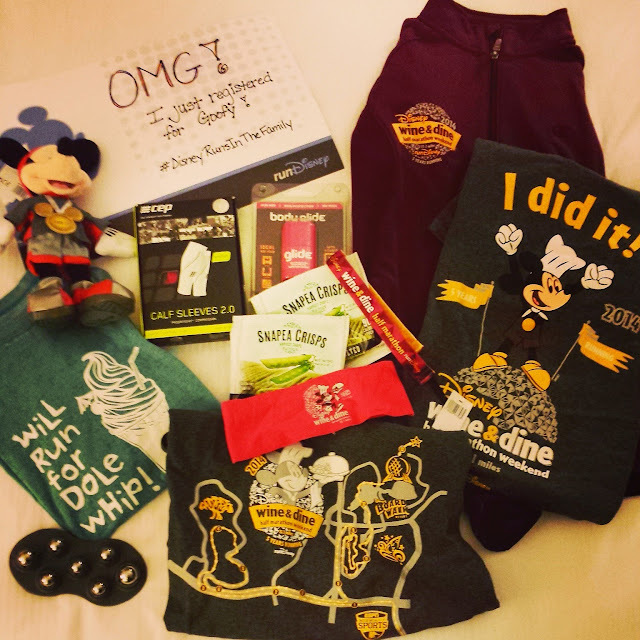 We went to the runDisney merchandise first, and left with a new jacket, new shirt, some hair bands, a wine glass, and even a stuffed Mickey. 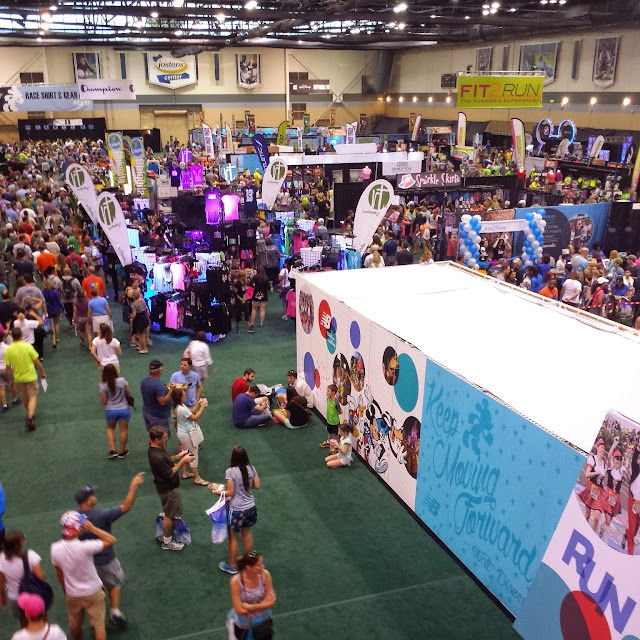 I picked up new compression sleeves, a new massager, and some body glide, and then I made the lethal mistake of stopping by the runDisney booth. I had been following along from home. I knew there were Goofy bibs available at the NYC Marathon the week before. I also knew online you could no longer register. There was a sign...innocent enough... "free gift with registration". Oh no! Registration for what? And what was the gift? It was inevitable. 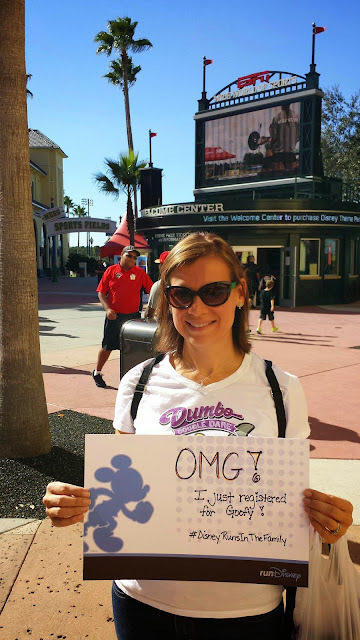 I registered for Goofy. I should have just started training earlier. I am also now the proud owner of a runDisney backpack. Might be the most expensive backpack in the world! You're not really that far off. Do a 15 miler, then a recovery week of 10, then do an 18 miler then start your tapering the two weekends before the race. It won't be perfect, but you'll have some long mileage in. Most marathon plans only go up to 18 or 20 mile distances anyway. You can do it. Thanks for the vote of confidence! I'm hoping so. I already know it won't be a fast race, but no Disney ones are! I just couldn't pass up the chance at another race this year while we have our annual passes. Once they expire, I'm back to one race a year due to cost. Am I making a fatal mistake?